The poster shows Salman as he is ready to take any challenge in an akhara. The action flick will release on Eid 2016 as per the schedule. 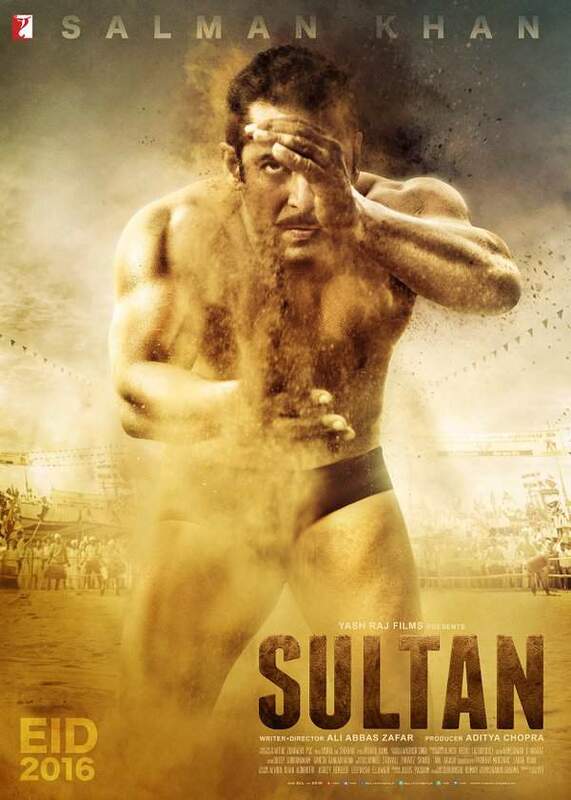 Salman Khan is portraying the character of a wrestler Sultan Ali Khan. In the poster, Salman appears wearing a black langot. The 50-year-old Bajrangi Bhaijaan star took the news to share it on Twitter via his personal handle. Sultan trailer is going to release on April 14. So, hold your breath for the day. The film also stars Randeep Hooda as his coach and Anushka Sharma as the female lead. It will release on July 6 this year. The film shows the wrestler’s professional and personal issues. Ali Abbas Zafar has directed it under the banner of the Yash Raj Films. Shahrukh Khan’s Raees and Salman’s Sultan will clash as both of them have close release dates. Raees makers have hinted that they are thinking to change the date and shift it to a new one. However, there hasn’t any official confirmation yet.